Summer meals are sometimes less-than-appealing to plan . . . particularly if it happens to be on the hotter side. SO, I just thought I would remind you of an option that you may have written off! That’s right. Now, salad sometimes sounds less-than-appealing. I mean, salad can just be so blaaaand, right? Salad is only boring if you lack imagination, friends. 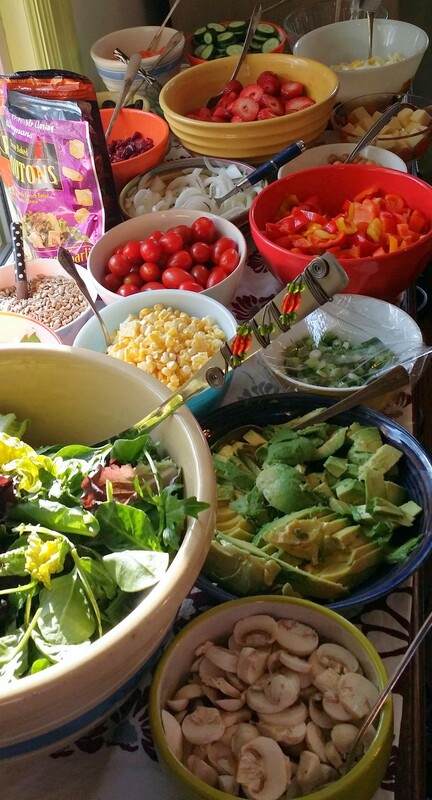 The spread above is the delightful smorgasbord of salad accoutrements that I recently enjoyed with friends. « Happy Friday, Happy Spring!